At the moment I’m trying to lose a bit of weight. Lots of people ask how difficult I’m finding it, but the truth is it doesn’t feel too hard. The reason, aside from my very supportive girlfriend (which is a big reason! ), is that we’ve changed things at home to make it easy. We’ve got rid of all the unhealthy food, got me comfortable trainers and clothing, used a fitness app and tracker to make sure I’ve got an accurate impression of what I’m doing and eating and made sure we pick up nice ingredients for our healthy recipes. I also make sure I take lunch to work to further reduce any temptation. In combination, it’s actually more effort for me to be unhealthy than healthy. 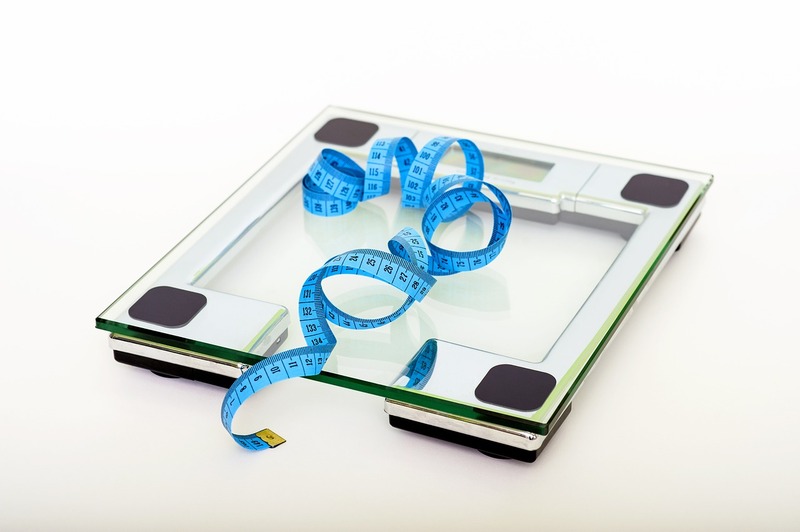 Surprisingly, to me, some people seem to think making things so easy is a from of cheating – the thought process seems to go something like “if you really wanted to lose weight then you should be able to do it anyway”. That kind of thinking is fairly endemic, at least in British culture (I’d be interested in thoughts on other cultures). It seems that our belief in the “stiff upper lip” means that we think we should just get on with things and that making something easier is the “wimps” way out. You can see this across a range of areas, including public understanding of mental health, sporting performance and in the workplace. Evidence shows, however, that changing our environment can enable us to achieve more. We all only have a limited amount of willpower and we can change our environment so that we focus that willpower where we really need it. Under manufactured, experimental conditions, environmental cues can have a quite drastic effect on our ability to achieve what we want. To stick with dieting for a second, Mann and Ward – research which I also quoted here – set up rooms with cues that either promoted eating (e.g. lots of delicious food around the room) or encouraged restraint (e.g. scales and a diet book) and put dieters in a room with a high fat milkshake. They were told it was a taste test and should drink as much or as little as they like. To ramp up the effect, some of the dieters were made to remember a 9-digit number; a cognitively challenging task. Under those conditions dieters with “eating” cues drank twice as much milkshake as those with “diet” cues. They found similar results with those trying to quit smoking (although when not doing a cognitively challenging task, smokers revolted against “stop smoking” cues and smoked more – this replicated other results and is a really interesting finding for health advertising). And the only difference was the behavioural cue. That was, however, a pretty artificial situation. Gittelsohn, Rowan and Gadhoke moved this into a real-world environment; small food stores. By advertising healthy foods, promoting health messages and increasing the availability of healthy produce, a range of stores found that people bought healthier produce, sales increased (between 25 and 50%, while the only store that looked at the effect over time found that this was a sustained effect 6 months after the promotion ended) and increased health and food-related knowledge. There’s lots of evidence in lots of different fields, so I’ll keep it relatively brief, but one of the most striking is racial bias. 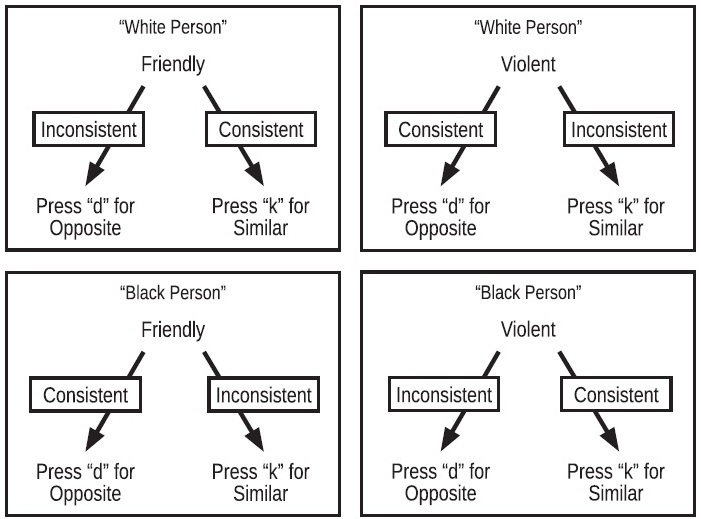 Lowery, Hardin and Sinclair used the implicit association test (IAT) to test racial bias. The IAT asks people to pair up Black or White names with positive or negative words and tests the time it takes people to do this. A pro-White/anti-Black attitude is indicated by the degree to which a) Black names are more efficiently paired with negative than positive words and b) White names are more efficiently paired with positive than negative words. A pro-Black/anti-White attitude is reflected by the opposite. The IAT can reflect attitudes that people aren’t consciously aware they hold, revealing our subconscious beliefs. In order to test the impact of cues on racial bias, participants sat the test in the presence of either a black or a white experimenter. This had a significant impact – people showed more automatic anti-Black prejudice with a white experimenter than with a black experimenter. The presence of a black experimenter didn’t reduce the speed of matching negative words with Black names, but did significantly increase the pairing of positive words with them. At a subconscious level people related the role of an experimenter with positive traits, and the race of the experimenter caused people to link the positive traits to the race in general. Cues, which participants weren’t even consciously aware were influencing them, managed to change their subconscious biases and their actions. And yet Kim found that people couldn’t fake the results of the IAT even when trying to do so. Conscious attempts to change performance actually had much less of an effect than environmental cues. 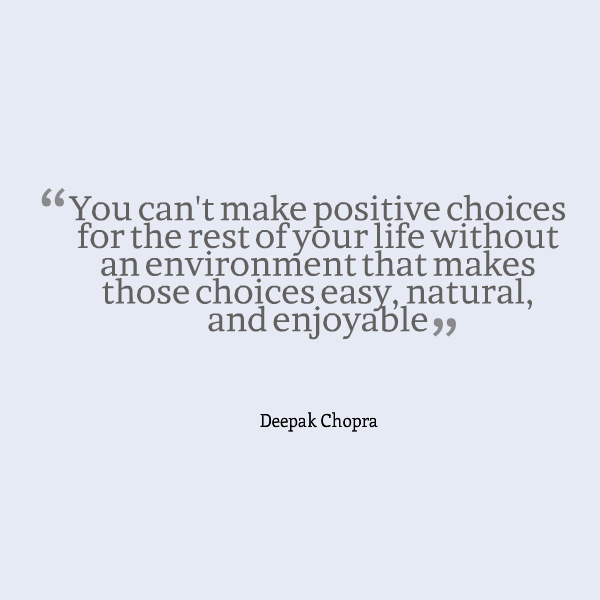 It’s clear that your environment can have a big impact on you, whether you’re conscious of it or not. There are clearly lots of non-physical elements to productivity at work, but here I’ll carry on the theme of focusing on the physical. I’ve covered some (to give one example) of those mental and social elements in the past and I’ll cover more in the future, but for now let’s stick with the work space itself. There are the obvious “hygiene factors” – the workplace being the right temperature, having working equipment, professional behaviour by fellow employees etc. – but I’m looking to go beyond that to things that raise performance beyond average. Kompier and Cooper found that, in Europe at least, the literature suggested that changes aimed at the general work environment were the least common of the 4 types of stress prevention interventions taken by organisations and that obtaining good analysis of the efficacy of these environmental interventions was a real struggle. So there’s not exactly a wealth of evidence. That’s partly why I chose this topic. There must be more we can do to make ourselves (and our organisations) more productive and it feels like a relatively undiscovered field, despite the many weird and wonderful workplaces. Anyway, on to the information we do have. 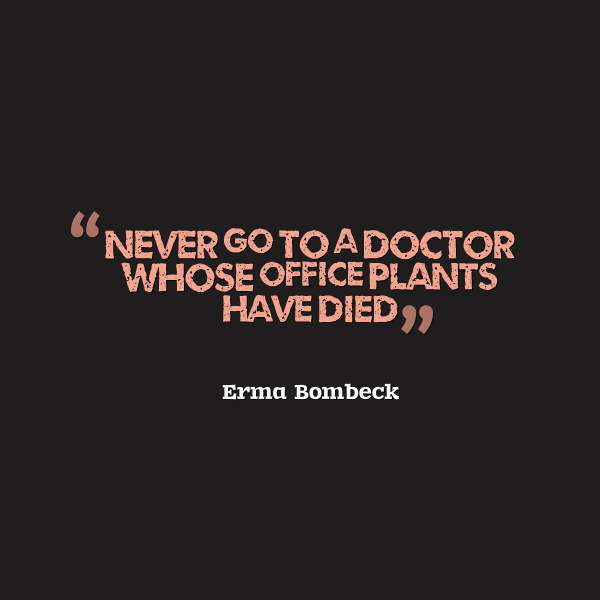 Two studies looked at the relationship between plants being present in an office and productivity. The first of these, by Lohr, Pearson-Mims and Goodwin (worth being aware that the study was from the Department of Horticulture and Landscape Architecture) found that in a windowless environment, for a one-off task, the presence of plants improved reaction time by 12% (the proxy for performance), reduced stress (including lower blood pressure) and made people feel more attentive. The second, by Larsen, Adams and Deal, found that plants made people feel happier, like the office space more and feel more productive. However, they also found that their participants were actually slower with plants than without – despite what they perceived. Nothing conclusive then. There is, however, a lot of discussion about the pros and cons of open-plan offices. Those that look at the transition from a room-based office to open-plan tend to show a negative response from employees and reveal that this negativity can last over 6 months. Studies looking more generally at open plan offices have found a number of downsides, ranging from Canada Life’s finding that it can negatively affect health to Steelcase’s finding that it can significantly reduce productivity, primarily due to distractions. Now it’s true that open-plan offices aren’t just about individual productivity – they’re about being cheaper to run, easier to fit more people in, flexible enough to expand and contract to employee numbers quickly and looking busier/better than any other option – but some people also argue that it’s about collaboration. Haynes found that this collaboration vs distraction conundrum was at the core of how people viewed the workplace. Collaboration was the feature perceived to increase productivity most, while distraction was seen to be the most productivity suppressing feature and different people viewed the same workplace as those two things. We’re again encountering one of the recurring themes of this blog – people are different and tasks are different. The environment that works best for me might not work best for you and the environment that suits me when doing creative work might not suit me for doing number crunching. The most important thing is to design the workplace to suit your staff and your purpose rather than trying to be like someone else. 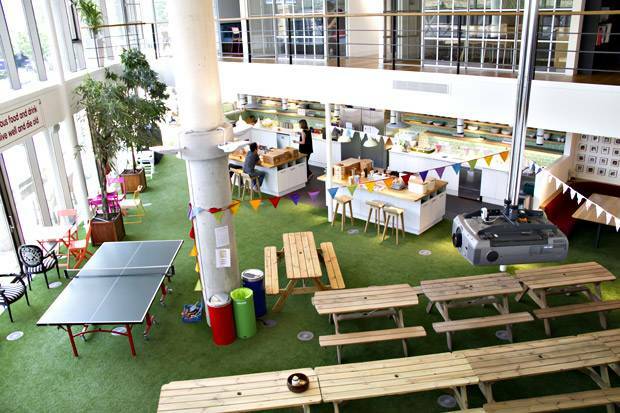 Google-style offices are very en vogue at the moment because they’re different, but they only work where they fit your work and your workforce. As a very simple example, younger people expect more flexibility in how they work than older employees – although that’s riskily close to one of those simple stereotypes. Finally, it’s worth noting some findings by Black and Lynch. Their research found that specific work practices made much less difference to productivity than how any change in working practice was implemented. We should be working with our employees when considering workplace changes, so that we tailor to the workforce, fit with our purpose and then implement those changes as soon as possible. There’s no silver bullet, but by exploring options and studying how those options suit you, it’s possible to deliver radical change to your performance. Step away from your email – we’re all addicted to email at work and we feel the need to look immediately whenever something new pops into the inbox. That means we’re constantly flicking through different tasks, never focusing enough to do any of them justice. The truth is that emails almost always aren’t urgent and if they are then someone will call you if you haven’t replied urgently. We should only be checking emails sporadically; let’s say one flick through of 10 minutes every hour. The rest of the time we should be forgetting about it. Shut down the email service you’re using, print stuff out and move somewhere else or use a website blocker to stop you being in your email all the time – whatever works. Give yourself visible reminders of what you want – It may seem a bit cheesy, but it’s worth producing notes that emphasise what it is that you want to achieve. Written notes are better than online ones too; they simply have a bigger impact. It’s easy to get drowned in the every day and forget about progress. Try working in different places – Test places out with different kind of work. A coffee shop might be great for writing (stereotype alert), but bad for working up a spreadsheet. A park might work for something, a library, your home, work etc will all better and worse with different tasks for different people. The only way you’ll know what works for you is having a go. If you have any thoughts on how we can make the most of the workplace then please pass them on – I’m only trying to give a taster with those bullets, so feel free to build on them.